Remember when I told you I was looking for members to form Team Camille for Style Ko Ayos Dito challenge against Team David and Team Patricia? (Read the blog post here.) Well, I found them already! Woohoo! If you’re one of the lucky 10, this means I’ll be seeing you tomorrow for our pre-styling meet-up. Using the items you sold to me on AyosDito.Ph, we’ll be styling 5 looks for the final runway show on November 20 at Raven. I can’t tell you how excited I am to brainstorm and share styling tips with you tomorrow! I understand you have more stuff to show me so to help you out, I put together a moodboard for your reference. This is how I envision our Manila street style looks while taking into consideration the items that we have so far. As you can see, there are various prints at play here. 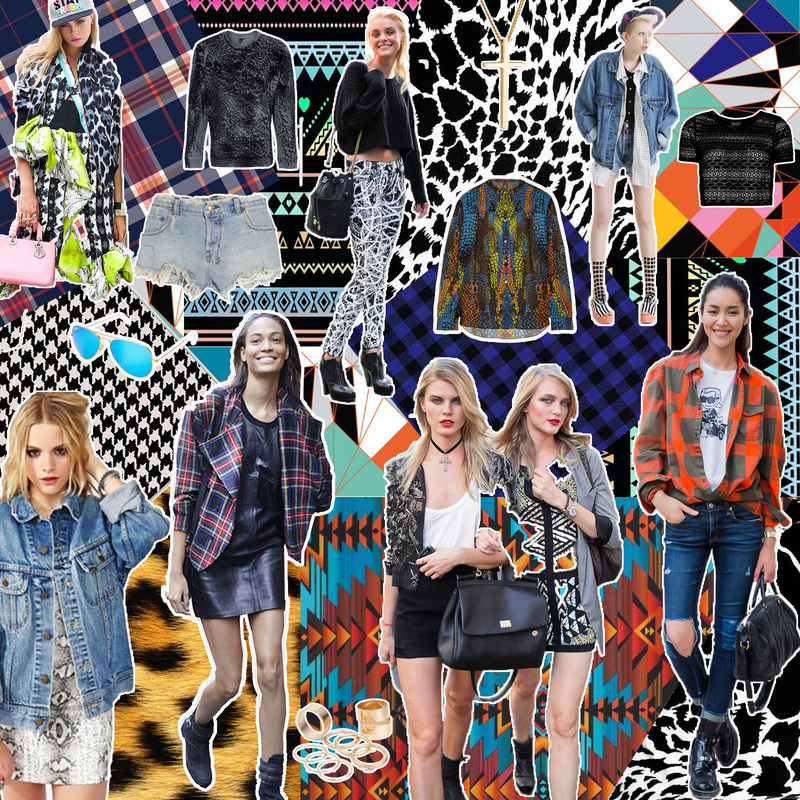 Everything from animal prints to aztec to plaid, houndstooth and geometric prints are welcome. It would be great if we can mix and match them with oversized denim jackets/bottoms and plain tanks/tees/dresses. Think model off-duty. Think city chic with an edge. However, it’s important to not let these pegs constrain you. This moodboard is merely here to serve as a guide and to inspire you further. Tomorrow, we’ll put our heads together and come up with our final looks. I’m watching you! I wish I have a more threatening photo but I’m not really good at that. Instead, let me just end this post with some photos from my shoot for #StyleKoAyosDito. Check out what went on behind-the-scenes and how I goofed around on set with the Ayos Dito team. Fun times! Anything looks good on you but being classy, priceless! I have a similar dress to what you’re wearing. Since this is a very tight fit, unforgiving dress, (if it isn’t too awkward or weird) may I know what type of underwear you wore with this? Sure! :) Team Camille won!! :) Thanks Maebs! Hahaha! :) You’re so funny. Thank you Stephy! LOL! Genes eh. I have my mom to thank haha! And she reminds me of this fact all the time too! I am super excited for this Cams! Plus, one of your readers who I met during your b-day dinner and I now consider as a really good friend is part of your lucky 9! Excitement to the max! #TeamCamille all the way! Hi! Where did you buy that dress? Or what brand is it? :) thank you! Btw you look stunning! You look really pretty. Good luck! wow! so beautiful, you look stunning :’) that dress suits you :) nice outfit! wow! so beautiful :’) that dress suits you :) nice outfit! Yes please!!! :) Fingers crossed! See you!